Welcome to the new abode! The new home of Elgin Car Shops, Yarmouth Model Works and the HO scale iteration of the Wabash in Ontario. 3 days, the help of some good friends, one moving van, and countless ascents and descents of staircases carrying far too much stuff culminates in, we're moved in. Fortunately there's a concert to work on Thursday, so I'll get a day off. First the designated layout space. The first view is looking north and the second looking south. The pool table is leaving Monday. It's 13' x 40' space. Right now the thinking on the layout will call for 3 levels around the walls, single lap helices in opposite corners to help with the climb between levels and some clever work for staging. This idea will allow me to open the distances between the towns and give a better feel of traveling distances. This approach will give me over 300' of mainline, which will approach some 5 scale miles. Not bad. I have to cut a doorway through where the fireplace screen is resting. Have all that nasty plumbing cleaned up. Strap and drywall 3 walls and then bring in a bunch of work surfaces and shelving. I've already acquired much of the cabinets. Where would we be without IKEA? In the other side of the basement, this is where the office, computer and crew lounge will be located. I'd happily lose the fireplace, but it's holding up the fireplace in the living room and Kate would be irked if that went away. So the unpacking begins and in a couple of days serious construction to get the shops working again. The layout probably won't get underway for about a year. Time, budget, other projects, etc. But I'm feeling positive. This will be the last blog post from this abode. In less than a week from now, we'll be in the new house. No doubt reeling from the horrors of moving and facing months of unpacking and figuring out where the heck to put stuff. I'm a tad overwhelmed at the volume of stuff that will come out of the basement alone. And it all has a purpose. Hope my knees hold out for all the shlepping that will happen over 3 days next week. I did take advantage of being in Toronto yesterday. I was visiting my brother and his family and he lives close to one of the 3 IKEA stores in area. So off I went to buy new work surfaces and cabinets for the new shop. There are somethings in IKEA that you can't buy the material for the what they sell the finished product for. You'll see that when the new shop gets built in a couple of weeks. Yesterdays blog post generated a comment on Facebook that has me tickled and humbled at the same time. Al Westerfield, mastermind and supreme talent behind Westerfield Models, now retired, commented on Facebook about the 4 latest models I've built for a client. He said, "Westerfield kits are nice but it takes an expert modeler to make them look so good." I am humbled that a man of Al's talents would describe me in that fashion. "Thanks, Al." Doesn't even begin to cover it. The AT&SF steam era freight car paint job that so works for me. It's a muddy kind of oxide red with black anti-skid roof treatment. And for me it's plain delightful to look at. I just finished these four cars for a client, some of the last efforts that'll come out of this workshop. Four classic Westerfield kits that are always a delight to build. The more astute among you will note the funny accoutrements on the roof of 2 of the cars. At the clients request I added cement loading hatches to 2 of the cars based upon some prototype photos that were supplied to me. Makes for a nice difference. The colour was mixed from Scalecoat boxcar red #2 by adding 2 teaspoons of white to a full one oz bottle. Looks real good to me. Weathering will be left to the client at his request. The cement hatches present lots of options. But it amuses and bemuses me how some people can get absolutely evangelical about their preferred DCC system or after-market provider. I suspect that like many people my system was purchased based upon what others around me were using and what was available locally. At the time that I went from my analog carrier control system, Onboard, to digital, I was spending a lot of time with the Ontario and Eastern club, and they chose to buy Digitrax. So I followed their lead. As it turned out, for me, a good choice. Since Freemo and Fremo both use Digitrax as the control standard. Which has allowed me to use the FredI throttles I have acquired from Germany. I'm comfortable with my system and can make it work for me with minimal screaming and yelling. My buddy Trevor uses Lenz. Same basic premise but has different features that satisfies his needs. Not better, not worse, just different. The same dialogue can apply to decoders. Lots of manufacturers, all do the same basic thing in the end, they just get there slightly differently. And program differently. Some have features that others don't. Some are easier to program than others. Some annoy me more than others. If you read back in this blog you'll know what I'm alluding to. While I welcome input from most everybody, I tire of people who persist in attempting to convert you to their preferred devices. 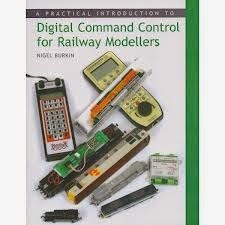 DCC, especially with sound now, can be the hobby within the hobby within the hobby. All I want is good train control and descent sound output. I have no desire to spend thousands of dollars upgrading chipsets, and hours of time tweaking CVs, to replicate what #1170 sounded like in June 1951. It's subjective and I don't care enough. Besides, until you can figure out how to get a sub-woofer into a locomotive it's all smoke and mirrors anyway. So to all those who wish to convert me and others to their way of thinking, please calm down. It's only model trains.